Jaques Papier has the sneaking suspicion that everyone except his sister Fleur hates him. Teachers ignore him when his hand is raised in class, he is never chosen for sports teams, and his parents often need to be reminded to set a place for him at the dinner table. But he is shocked when he finally learns the truth: He is Fleur's imaginary friend! 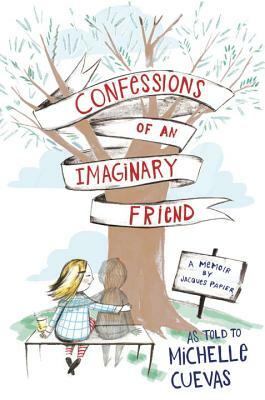 When he convinces Fleur to set him free, he begins a surprising and touching, and always funny quest to find himself--to figure out who Jacques Papier truly is, and where he belongs. Readers will fall in love with Jacque's sweet, quirky voice as he gives them a look at life from an incredible new perspective!